Our horological journey evolves and changes over time, as we ourselves evolve and change. Our tastes, interests, personal circumstances and depth of our pockets to fulfil the insatiable thirst are constantly changing. It’s only natural that our watch collection also changes. 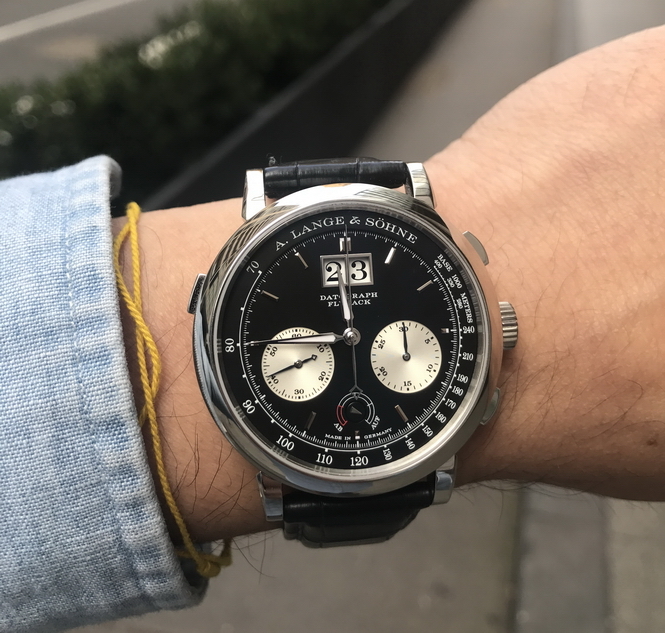 Not long ago I pondered whether I could be a one-watch-man, a thought that would have never crossed my mind before, but one that I became increasingly obsessed about. My humble collection began with one watch, so surely I could go back to this. 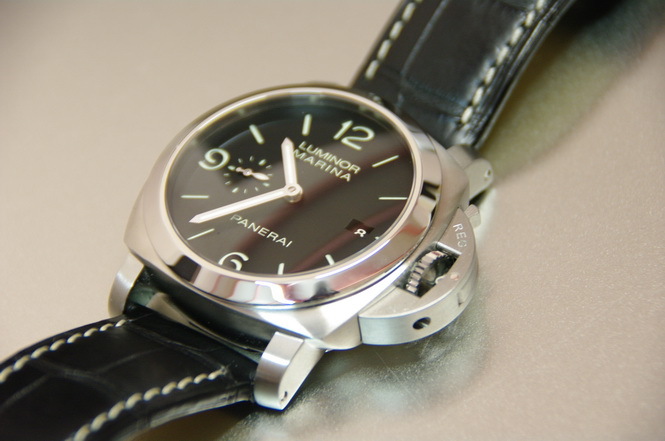 Many years ago I purchased my very first worthy timepiece, a Panerai PAM312. With her help, I justified it to my significant other as “the only watch I will ever need”. That didn’t last very long. I thought it was THE watch. It was a Panerai, a brand I was very much fascinated with back then. It was a sandwich dial, had a date indicator, and an automatic movement with a caseback display. It ticked all the right boxes and I enjoyed wearing it for a couple years. It spawned my fascination with strap changes and all different varieties of straps. It was the watch that embarked me on this horological journey. 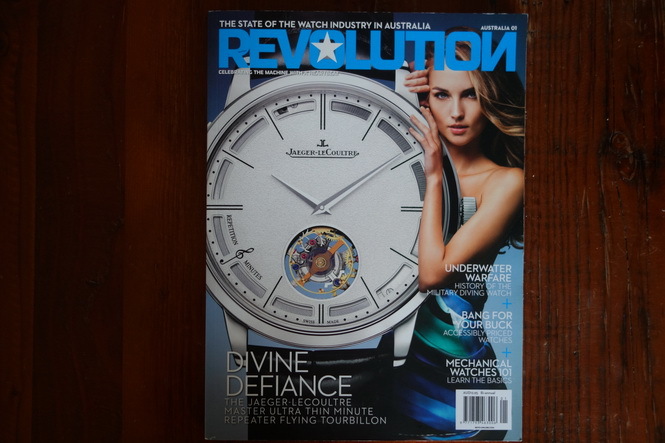 This was the perfect watch for me, versatile and able to change its feel just by changing straps. Fast forward a year into having it, and suddenly the one-watch man turned into a two-watch man. 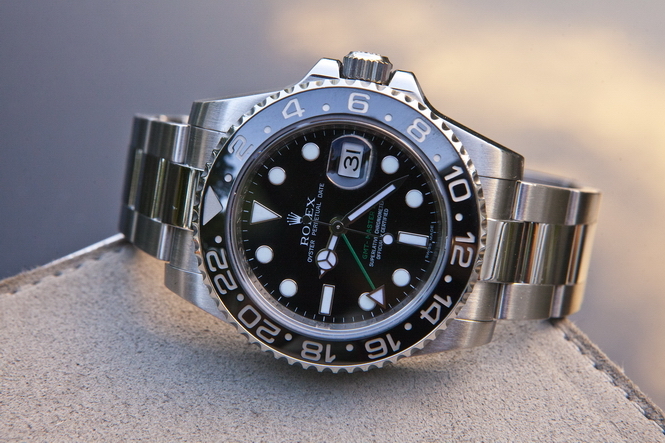 I picked up a lovely ceramic Rolex GMT Master II, and I said, “with these two, I don’t need anything else”. It was the perfect pair, at the time. 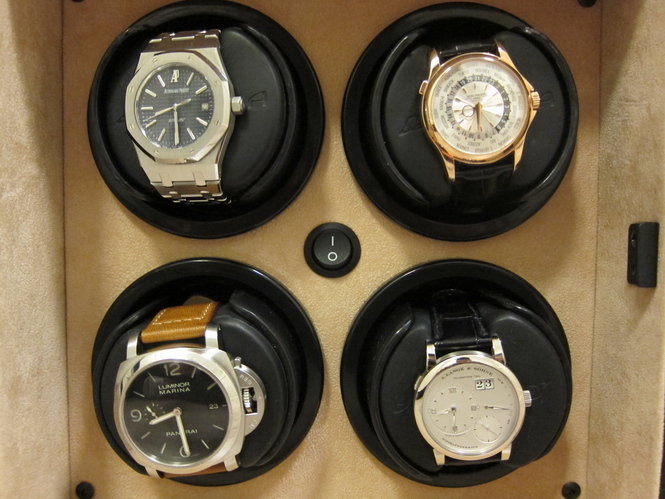 A few more years passed and I then sold the Panerai, replaced it with a Lange 1, then sold the GMT and replaced it with an AP Royal Oak, and somehow picked up a Patek World Timer and a JLC Reverso Duo. 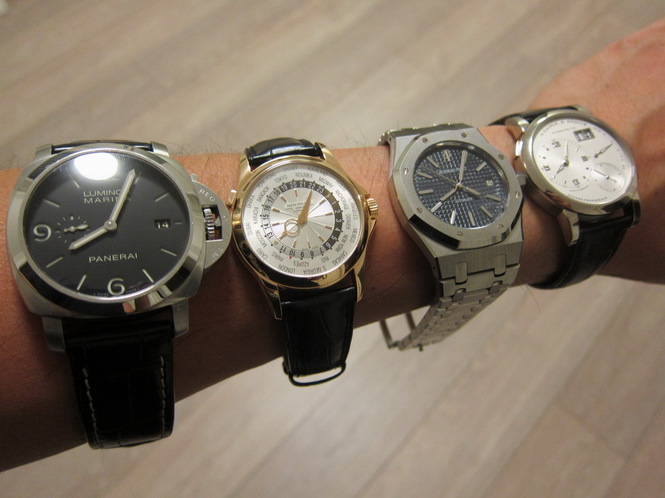 For a long time I was a four-watch man and thought, this really was it! Lies and denial. I couldn’t pass up on the iconic Lange 1, GMT-IIc, make way! 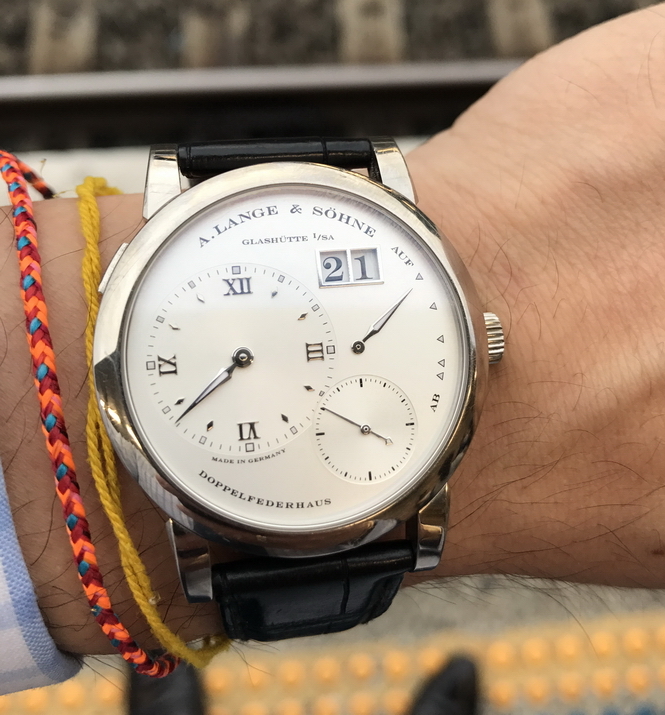 I have always been a huge fan of A. Lange & Sohne, as you may have picked up on across my posts. The one watch that seemed very much out of reach was the Datograph. Until the thought of consolidation crossed my mind and I explored whether I could settle down with one fine lady, and do away with all the flings I was having over the years. I convinced myself that I could do this, and would be happy. So I took the leap, and signed up for marriage with the Datograph. 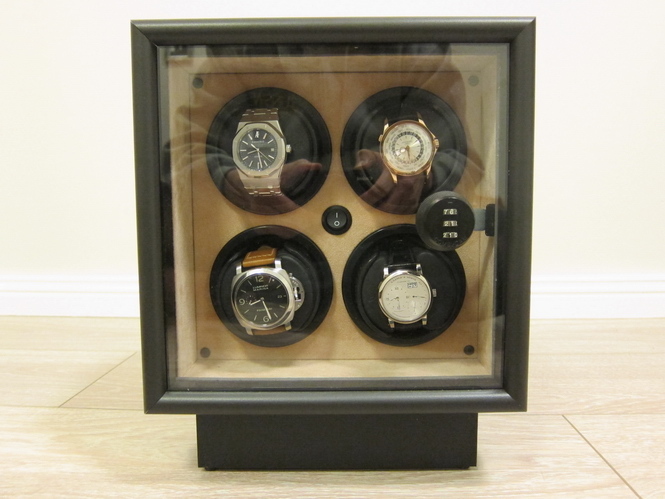 Brand appreciation (or lack of): Panerai, I thought they had it all. However with more and more Special Editions being released and an apparent lack of creativity, I become a little disenchanted with the brand overall and this reflected in my lack of appreciation of the PAM312 towards the end. Over time I began to explore other manufactures and began to appreciate what they were doing, where they were heading, and the great watches they were producing. This led me to want to be part of that same journey. 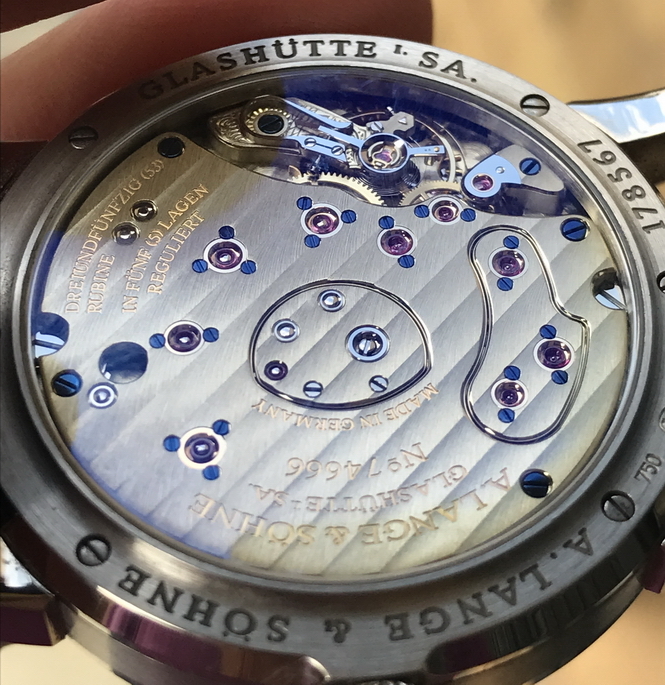 Finishing and complication appreciation (or lack of): After getting my first Lange and Patek, I quickly was able to draw comparisons between the watches I had and the level of finishing and execution these manufactures were putting into their watches. Their little intricacies and styling, their levels of detail. Suddenly, this changed my appreciation for certain brands and how they crafted these beautiful pieces. Suitability to lifestyle: The PAM312 was a top heavy watch and over time, as I began to appreciate a more modestly sized watches, it just didn’t suit me anymore. Some watches can be difficult to wear under a shirt, not suitable for an active person, not masculine or too masculine. 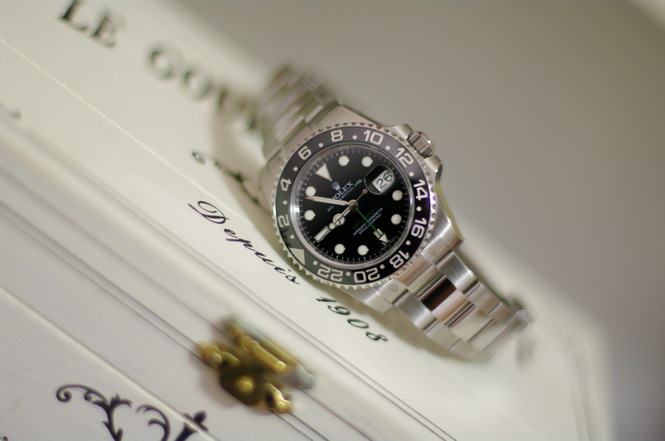 Whatever it might be, as your lifestyle and personal preferences change, so will your watches. No reason at all: Sometimes you don’t need a reason at all, sometimes the piece that you thought you once loved, is suddenly the one that receives the least amount of wrist time. No explanation, you just fell out of love with it. The Grail : Finally, the quest for every WIS to achieve their grail watch. Sometimes an opportunity comes up (or you create one) to finally get that grail piece. For those that are lucky enough, no consolidation is required. 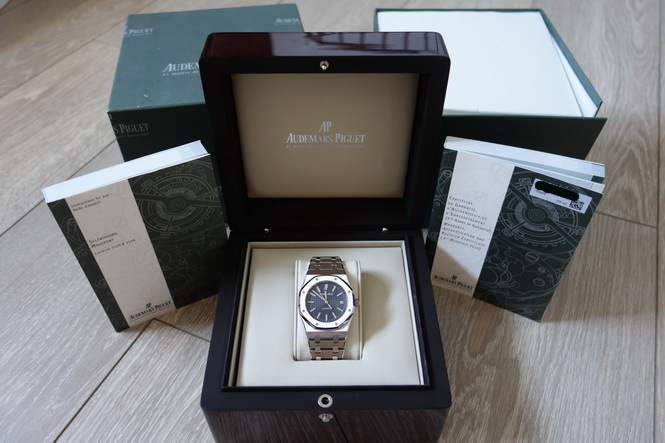 For those that aren’t, it usually involves selling the collection you have amassed, letting go, and replacing it for that one watch that you hope will make you smile every day. So where am I today? The Datograph remains and stands tall. Unfortunately I am unable to be a one-watch man and remain faithful. 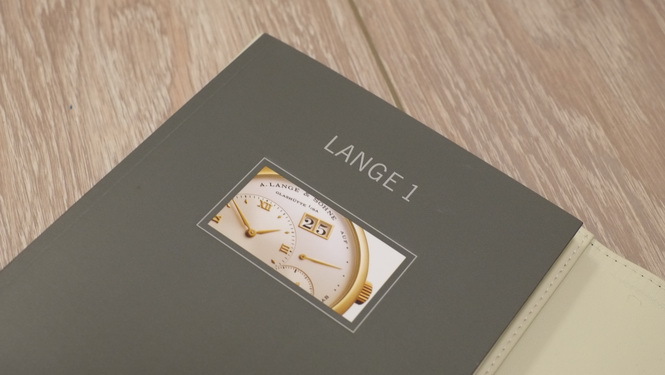 The Lange 1 was replaced with another Lange so I was happy with that change. 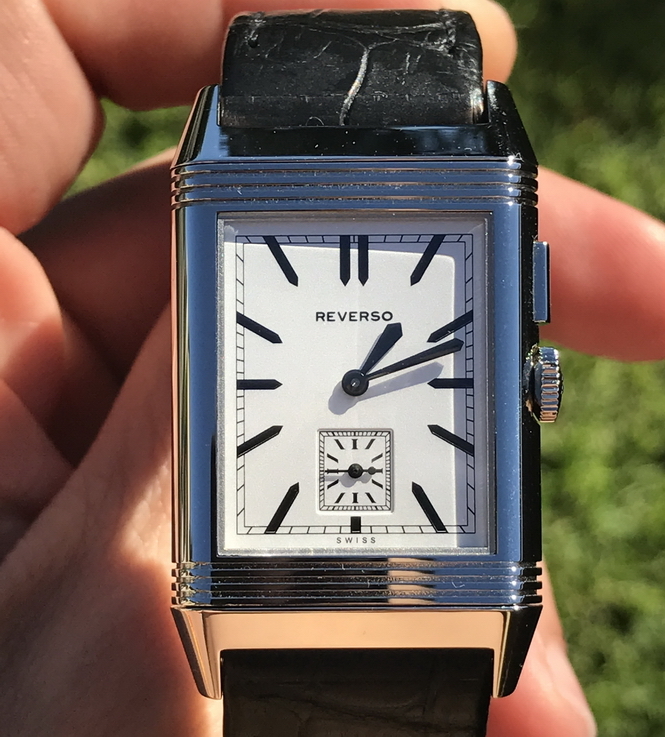 The JLC Reverso just didn’t get the love it deserved. The Patek World Timer, well it was worth sacrificing for the Datograph. The Royal Oak was one watch I could just not forego. 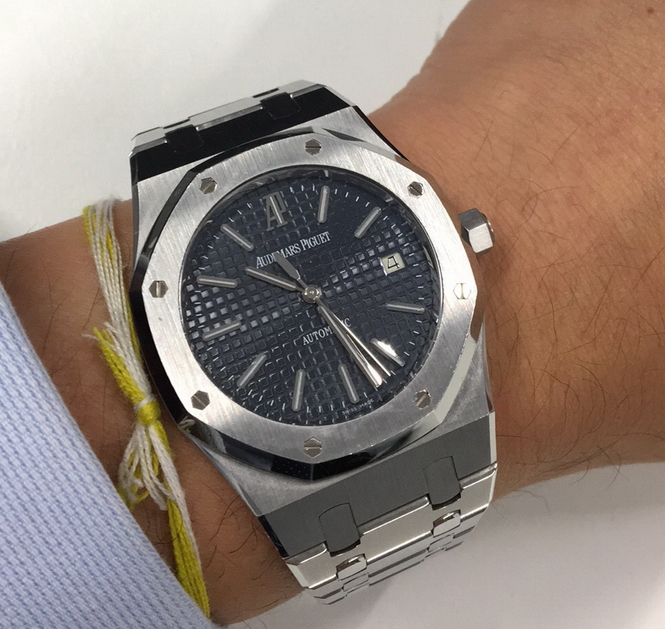 There is something truly special about a Royal Oak and it’s also extremely versatile. It works in all conditions, rain, hail and shine. So what next? Nothing. 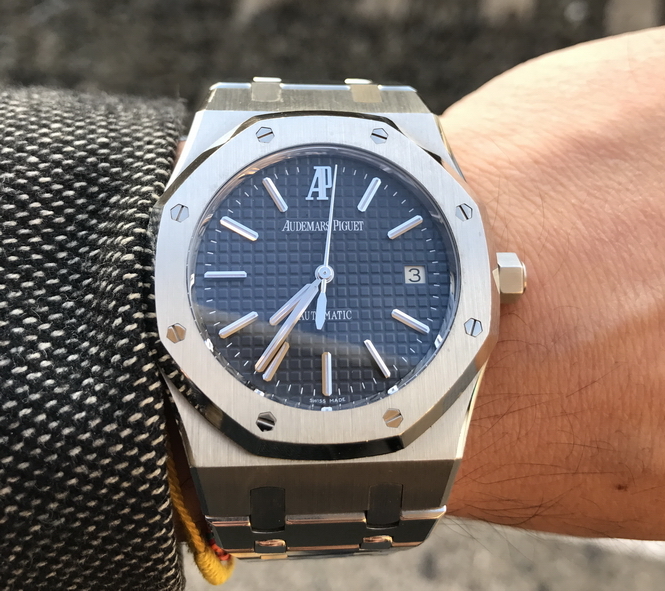 The Datograph and the Royal Oak make a winning combination. Disclaimer: the views of this article are solely of the author and do not represent the views of any of the manufactures listed. The author is also likely to change watches again so take everything at face value and do not be surprised by an “Incoming” post.